Everything you need in one sewing cabinet - extra large surface, storage caddy and fold down design. Featuring the largest machine platform so you can fit the biggest machines on the market here. 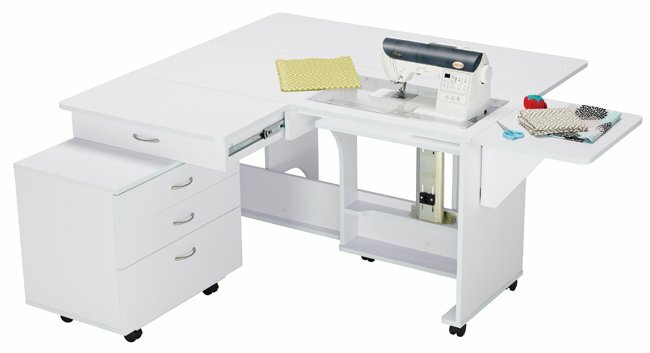 Quilter’s Vision is our largest sewing cabinet and its spacious design is ideal for larger sewing studios. Gorgeous in design, the removable caddy can be positioned where you feel is best. Featuring a large back leaf and side panels - it is made with quilters and dressmakers in mind.